This is my third and final entry into Iron Cupcake: Earth this month. 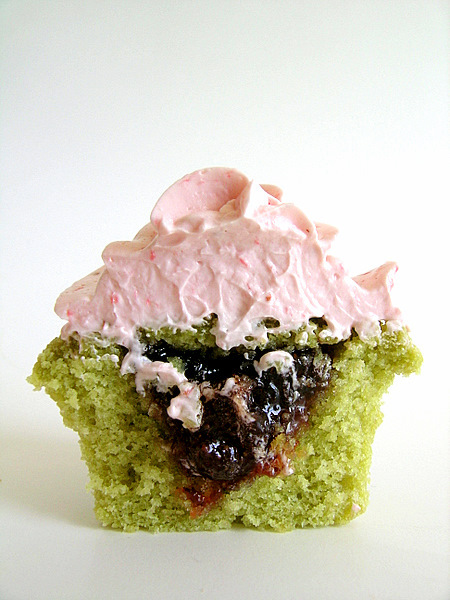 This is also my favorite entry, matcha strawberry cupcakes. I loved this cupcake! It is one of the best I’ve made in ages. The cake is a basic vanilla cake, borrowed from Billy’s Bakery, flavored with matcha, or green tea, powder. Inside the cupcake is a filling of strawberry preserves, for a big strawberry taste. Swirled on top is fresh strawberry Swiss meringue buttercream, which is really lovely. It also does actually taste like strawberries, unlike my first strawberry cupcake entry, which used heaps of strawberry puree but did not taste like strawberry. This cupcake, however, did taste like strawberries and matcha. With one bite you will first taste the strawberry. After that bite is swallowed, the flavor of the matcha hits. I really really love this cupcake, but I think I’ve already said that! I used Billy’s vanilla cupcake recipe because this is my favorite vanilla cupcake recipe. They always come out moist and soft and were perfect for the addition of matcha – I just added the powder to the dry ingredients. The buttercream comes from Martha Stewart. It takes a lot of mixing to make this particular buttercream, so a stand mixer is a necessity. The buttercream came out perfectly and the softness of it matched well with the moist cake. I divided both of these recipes in half, which is why some of the ingredient amounts in the recipe may look a bit funny. Matcha cupcakes with strawberry jam filling and strawberry buttercream. For the cupcakes: Preheat oven to 325 degrees. Line cupcake pans with paper liners; set aside. In the bowl of an electric mixer fitted with the paddle attachment, combine flours, sugar, baking powder, salt and matcha powder; mix on low speed until combined. Add butter, mixing until the cubes of butter are peanut-sized or a little smaller. Divide batter evenly among liners, filling about ⅔ full. Bake until a cake tester inserted in the center comes out clean, 17 to 20 minutes. Transfer to a wire rack to cool completely. Once cupcakes have cooled completely, using the cone method, fill cupcakes with strawberry jam or preserves. For the buttercream: Place whites and sugar in a heatproof mixer bowl set over a pot of simmering water. 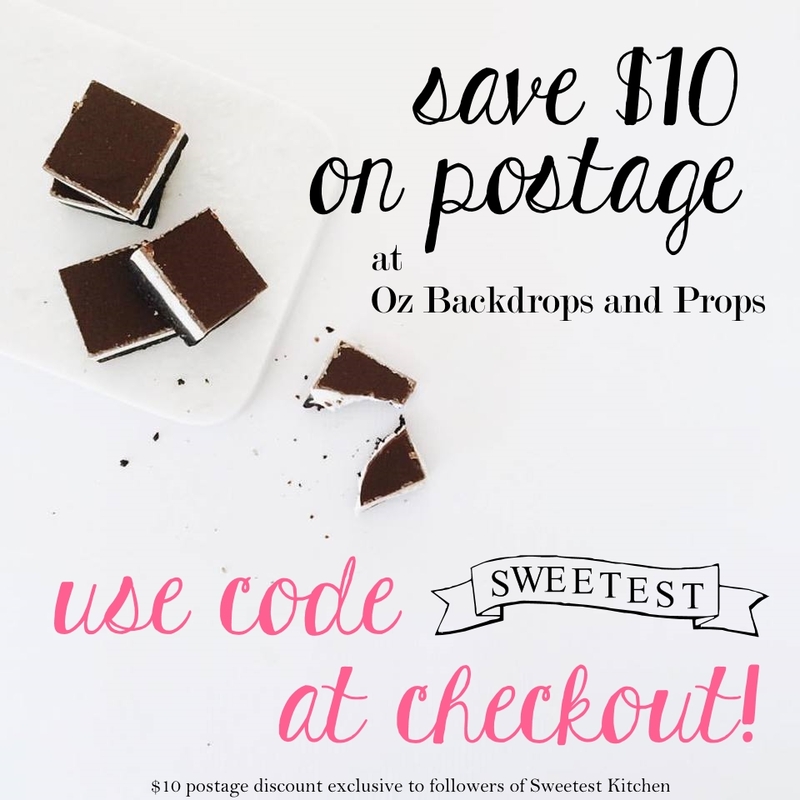 Whisk until sugar dissolves and mixture registers 160 degrees on a candy thermometer. Switch to a paddle attachment. With mixer on low, add strawberry puree, and beat until smooth, 3 to 5 minutes. Use immediately, or cover, and refrigerate for up to 3 days. Bring to room temperature, and beat on low speed until smooth before using. Because of the egg whites and jam in these cupcakes, it is best to store them in the refrigerator. Let them return to room temperature again before enjoying. You couldn’t have found a better matched cupcake liner! These do look and sound insanely delicious! I love your pic of the guts. What brand/size stand mixer do you use? I’m on the market for one and wondering what’s the best. Amanda, these red swirl liners are quite popular for this month’s challenge, a few people have used them. They’re very summery and match well with strawberries! What I don’t like about it is that the bowl doesn’t have a handle!, but otherwise from what I remember of it, it works just as well as the KitchenAid. We’re going to be having another matcha green tea powder recipe contest. Your matcha cupcake recipe would make a great entry! Let us know if you would like to enter the contest. These are so precious! I’m glad I spotted them on Food Gawker cause now I’ll be coming back for more sweet treats. These are adorable! I love the bright colors of the pink and green. I bet they taste great too! These are beautiful! I saw your photo on Tastespotting, they look delicious. Great flavor combination and gorgeous colors! This one is just too pretty to pass up. There were so many entries this month but yours is definitely in my top 3 so you got my vote!! Thanks everyone, and thank you especially for your vote, Deanna! The Green Tea Powder recipe contest page is up! 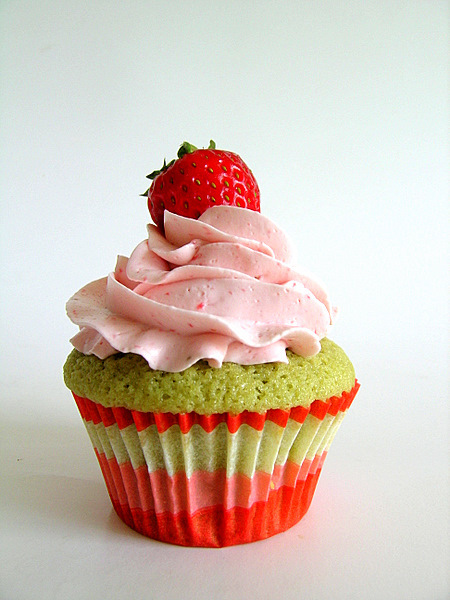 Your Matcha Strawberry Cupcake look so great. l will put your website link on my blog. Thank you for sharing! I went and followed this recipe tonight and surprised my family with them as an after dinner treat. Everyone loved them, and I enjoyed making them. I’m afraid my buttercream didn’t turn out as smooth as it appears in the picture, perhaps I was a little timid about making a mess. Very tasty and I will be making them again for friends soon in the future. What size decorating tip did you use? Hi Claudia, I can’t actually remember which it was, but relatively certain it was the Wilton 1M tip.